IPT is able to custom modify and strengthen your converter to suit the characteristics of your vehicle. Improved bearings, state of the art lock up clutch friction material and furnace braised fins yield a tremendous increase in strength and durability. 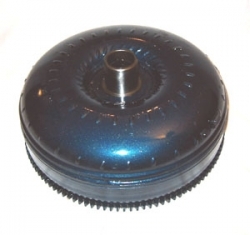 Let our years of experience with what makes a car go fast work to build a custom torque converter for you. Remember- the torque converter is the most important part of the puzzle in an automatic transmission equipped vehicle. The right torque converter configuration can produce ET reductions comparable to gains of 50-100 wheel horsepower. If you're tired of getting beat by sticks, this is the modification for you. We have 1G and 2G F4A33 and W4A33 cores in stock at all times- we get your specifications, build it for your vehicle and ship it out within 3 business days. *Refundable core deposit will apply.